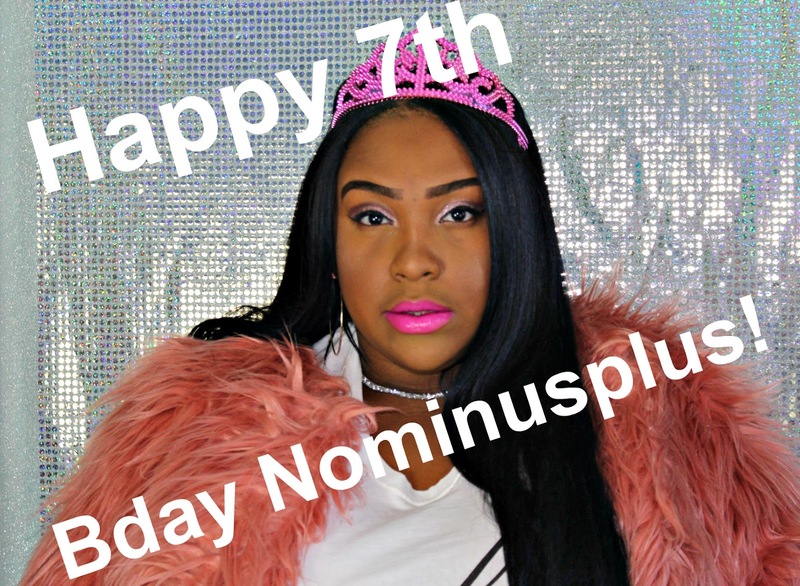 HAPPY 7TH BIRTHDAY TO NOMINUSPLUS!!! It has been a fabulous 7 years of fashion, makeup, fun, and a whole lot more! From the bottom of my heart, I just want to say thank you to all my darling divas. You are the heartbeat behind NoMinusPlus, and it wouldn’t be 7 years without you all inspiring me and keeping me going! Today’s video is going to be super fun, and I don’t want to spoil it all in the into! Just watch it, have a good laugh, and meet me below for more bday fun! Did you enjoy? I hope so! The video was already almost 30 mins long so I couldn’t include the rest of footage. If you liked what you saw let me know and I will do a part 2! For now, let’s just reminisce about the 3 blog posts that we did get to see! This was the very first blog post at NoMinusPlus, and it was so simple and sweet. I just wanted to do a simple introduction, and I am telling you I had no clue of what was to come once I posted this first blog post. If you ever wanted to start a blog, my advice is to just jump in! You never know what will happen or where it will take you! Check me out doing two blog posts on the first day! At this time I was heavily into makeup, and so the first ever NoMinusPlus tutorial was born! A simple look that I remember having so much fun creating! At this time I was finally starting to realize what I wanted to do with my life, and this first video was the first of many! I came at you with yet ANOTHER makeup tutorial, and ladies my brows were just terrible! Can we have a moment of prayer for them? ( lol) I remember somebody in class asking me how I did my smokey eye, and I got so excited to run back to my dorm room and create this video. It was my first time actually speaking, and you could tell I was so nervous. Now, look at me! I won’t shut up to save my life! If you want to check out some more facts about NoMinusPlus, click here to check out my NoMinusPlus week videos! For my 5th year anniversary I did a week filled with videos letting you get to know me and the blog, so click that link to check it out if you’re interested! So ladies and gents that all for this short and sweet bday post. From the bottom of my heart, I want to say THANK YOU, THANK YOU, THANK YOU! The NoMinusplus fun doesn’t stop here! Follow me on Instastory to see my all day long celebration, and to have a champagne toast with me at 8PM EST! Be sure to also come right back here next Wednesday for a brand new week of blog post! I love you lots like tater tots, here’s to 7 billion more years, and I will see you IG!